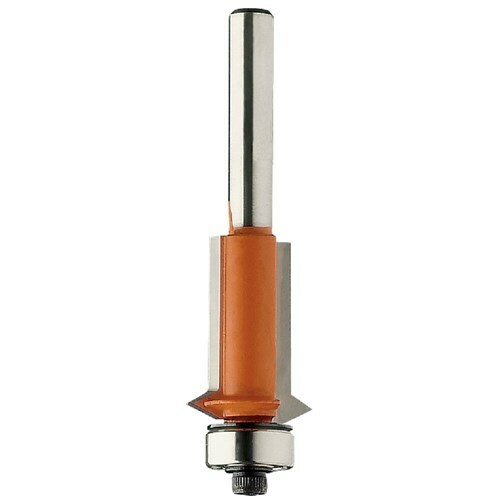 CMT Flush and V-Groove Router Bit - 1/2"
The absolutely indispensable bit for anyone making cabinets and joinery projects. CMT Flush and V-Groove bits allow you to make cabinet front frames in 25mm (1") stock that fit perfectly with the sides, with the added V-cutter feature makes a decorative groove along the hinge joint that hides the seam of the joint. The 1/2" cut diameter is plenty to trim a few millimetres from the end or long grain, with the V-groove cutting in 3.2mm (1/8"), and narrow enough to hide the joint. 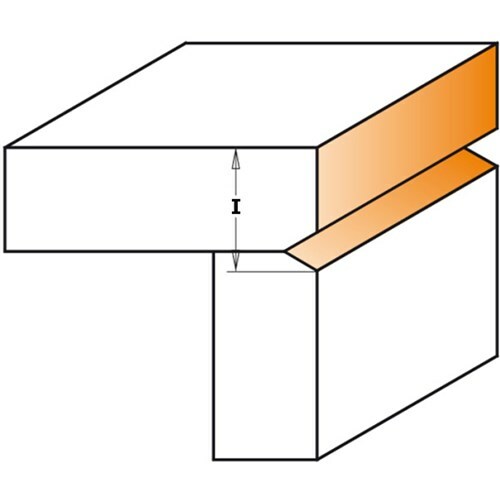 Shop tips: for best results, leave less than 3mm (1/8") overhang on cabinet front frames for easier routing.